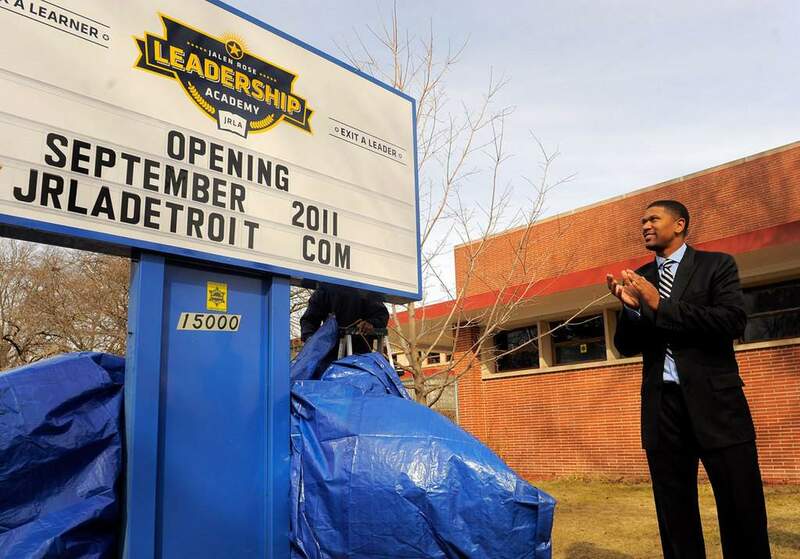 DETROIT (WWJ) – A former NBA player out of Detroit is reaching out to underprivileged kids in the motor city to offer them a leg-up on the ladder to a good education. “I want to show them that, not only do I care about them, but I am trying to do what I can to be a vessel to help them unlock their future, to put them in a position for success,” says Rose. “We’ve helped influence 40 kids via scholarship already and I have an endowment at the University of Michigan,” Rose says. his new Jalen Rose Leadership Academy in Detroit which will eventually enroll 480 students in grades 9-throuth-12. The school will be operated in partnership with University of Detroit-Mercy to offer students a pre-college experience. Tuition is free. The academy has received a Michigan Future Schools initiative grant which carries with it the expectation of an 85% graduation, college enrollment and college graduation rate. Rose says his involvement in the school will be hands-on. He’s not just lending his name to the academy.